Interested in our new maps in the future? 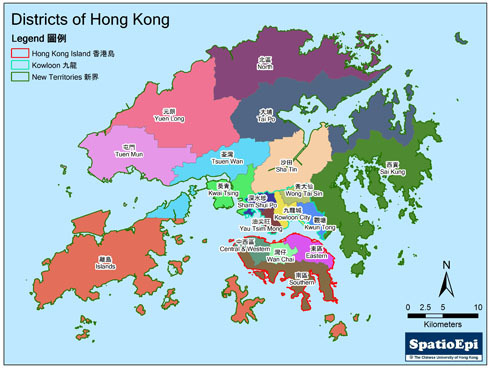 There are 18 districts in Hong Kong. They are Central & Western, Wan Chai, Southern and Eastern in Hong Kong Island; Kwun Tong, Shum Shui Po, Yau Tsmi Mong, Wong Tai Sin and Kowloon City in Kowloon Peninsula; Islands, Tsuen Wan, Yuen Long, North, Sha Tin, Sai Kung, Kwai Tsing, Tai Po and Tuen Mun in the New Territories. Information was obtained from Census and Statistics Department, Hong Kong Special Administrative Region Government.